The MZ-X300 provides over 900 high-quality Tones, covering a global variety of instruments. 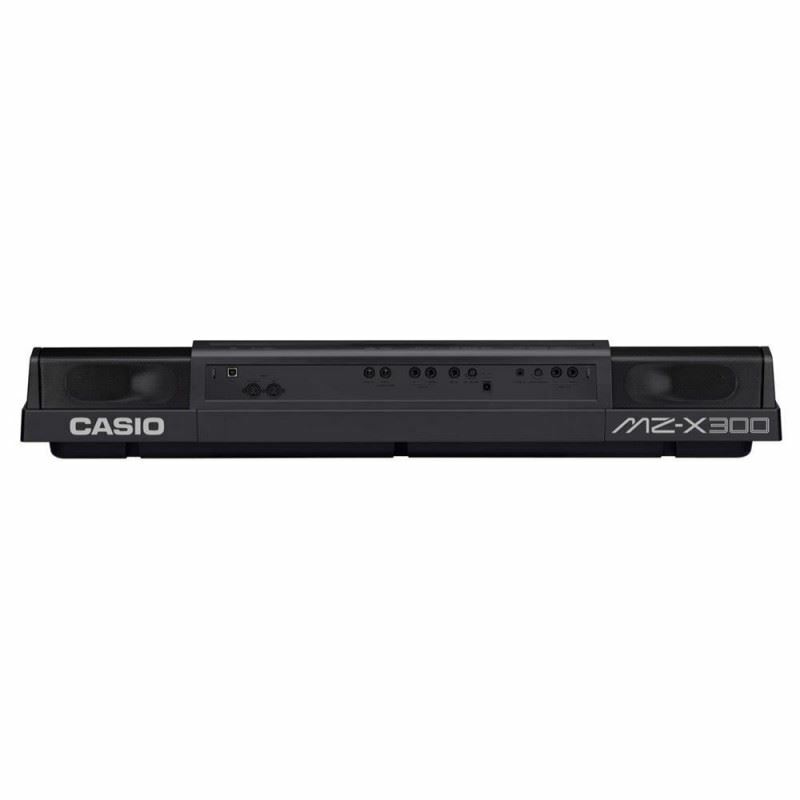 No matter what type of music you want to play, the MZ-X300 delivers. Acoustic guitars include fret noise, harmonics, string slides and body slaps. Basses have smooth glissando from note to note. The new Versatile Tones provide these and other nuances, conveying incredible realism. The Tones can be easily modified to suit your tastes, thanks to the Color Touch Interface and real-time control knobs and sliders. You can also draw on a selection of 20 different effects to fit any occasion. The MZ-X300 faithfully reproduces the timeless sound of a vintage tonewheel organ. The rotary speaker is also simulated in great detail, giving you the complete vocabulary of this revered instrument. The physical sliders give you precise drawbar control, and easy onscreen buttons provide you with essential adjustments. The MZ-X300 is a songwriter’s dream. Realize your creativity with a 16-track MIDI recorder with a full suite of mixing and editing features, plus powerful effect processors and USB audio recording. Select an ensemble, lay down a groove, then connect a microphone and record your performance as an upload-ready WAV file. The MZ-X300 contains hundreds of flexible and great-sounding Rhythms, representing musical genres from around the world. Latin, Middle Eastern, European, Asian, and other global Rhythms are included, as well as a full spectrum of pop, jazz, rock, dance. These Rhythms have multiple intros, endings, and variations, and use advanced chord detection to deliver complete accompaniment ensembles that react smoothly to the way you play. They are ideal for solo performances, songwriting, or just enjoying a jam session with a virtual band of professional musicians. Patterns can be easily created and combined to form your own Rhythms, making the MZ- X300 completely expandable and customizable. If you have a vision for the perfect backing band, you can quickly generate all the performance elements you want, with extensive mixing and editing tools. The MZ-X300 can load and play standard MIDI files, and it can even import data from an SMF into custom Rhythms. This means that instead of simply playing back a song, you can perform it and make it your own. You can even import Rhythms from other arranger keyboards, opening up a world of downloadable cross-platform content. The bold, bright 5.3-inch Color Touch Interface puts you in the driver’s seat, and makes it incredibly easy to explore and navigate the MZ-X300. You’re always just a few touches away from any essential function, and selecting Tones and Rhythms is easier than ever. Enjoy interactive visual tools like mixers, synthesizer functions, effect controls, and more. It can even be used as an X/Y controller for the built-in effects and filters, controlling two parameters with just one touch. Onscreen text is large and easy to read from any angle, no squinting required. The stylish “cockpit” design of the MZ-X300 is insightfully laid out, with the most important controls just where a player would need them. Along with the display, you’ll find your hands naturally gravitating to the newly designed knobs, sliders, pads, and other performance controls. Bright backlit buttons also keep you informed and in control, so you can focus on what’s most important- making music. Store and recall your favorite settings easily with eight convenient Registration buttons. A Registration can contain Rhythm, Tone, effect, tempo, transposition, and many other settings. Organize your favorites for quick access at your next gig, and store up to twelve Banks of eight Registrations apiece for total flexibility. The MZ-X300 has four multi-function pads. Initially, you’ll find they can add new, creative, and fun elements to your music. As you explore them further, you’ll realize they can open up a new dimension to your performance and composition. Quicky and easily record high-quality samples from any source via the line and mic inputs, and assign them to the pads. Create a drum kit with custom percussion sounds, record your vocal harmonies, or create a soundboard of clips to trigger during your performance. The pads can also trigger musical phrases. You can easily create phrases yourself, or use the many included presets for many different instruments and genres. You’ll find melodies, drum grooves, arpeggios, and more. To make these phrases even more versatile, they can even transpose automatically to match the chord being played. Each pad is individually and highly customizable. You can combine these functions into your own custom pad layout, triggering samples, sound effects, and phrases, all from one set of four pads. The MZ-X300’s bass-reflex speaker system puts out a staggering 40 watts of power, and sounds rich and clear at any level. A 4-band parametric equalizer is included to help you customize the output to suit any space, ensuring that you and your MZ-X300 will always sound your best. 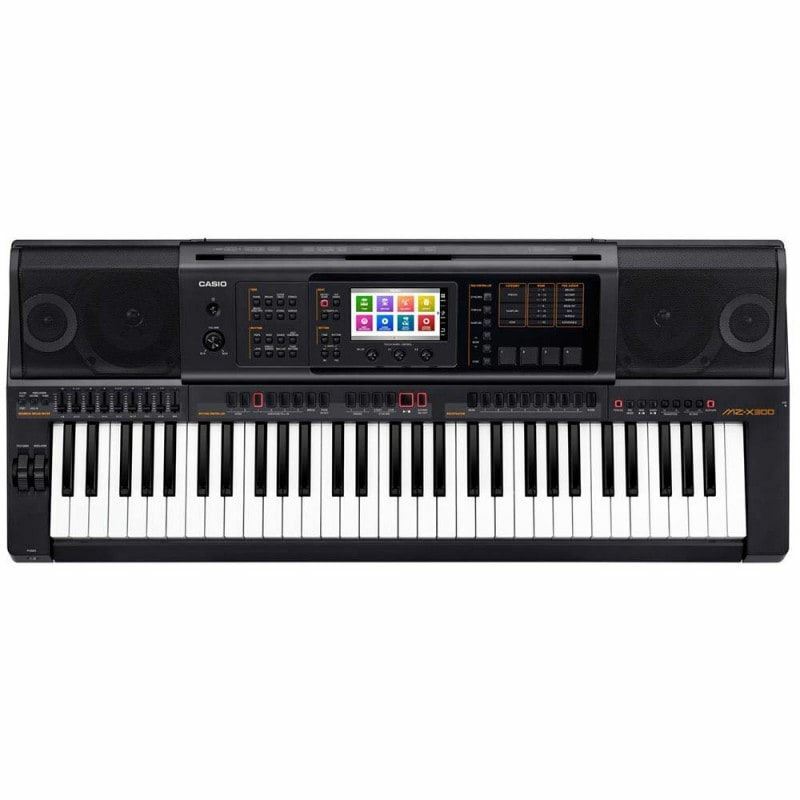 Yamaha Reface-CS Mini keyYamaha Reface seris memiliki beberapa suara yang paling terkenal seperti seri DX7 dan CS Control Synthesizer dan menempatkannya dalam desain ultra-kompak dan sangat portabel untuk menciptakan suara dari keyboard Mini Mobile, sehingga memudahkan bagi musisi masa kini untuk me..
Cort L300VF NAT Natural Glossy..